Richard Sherman has taken some flack for his one-year deal with the 49ers, but he has no regrets about acting as his own agent. Sherman’s deal is a three-year, $39MM pact, but a deeper look shows that the real base value is just $21.15MM with another $18MM coming in the form of bonuses. In order to earn the full $39MM, Sherman must play in every regular season game, be on the field for 90% of snaps, and earn Pro Bowl and All-Pro honors in each season. In other words, it’s unlikely that Sherman will actually see the full value of the deal. Still, Sherman is content with how things played out and intimated that he wanted the opportunity to face his old team twice per year. Mike Klis of 9News in Denver (on Twitter) had more on the 49ers’ proposed trade for cornerback Aqib Talib from the Broncos, which Talib rejected. The 49ers were going to send a fourth-round pick in the 2019 draft in exchange for the services of the five-time Pro Bowler. In the end, the Broncos traded Talib to the Rams for a fifth-round pick in the 2018 draft. The Buccanneers looked to shore up their kicking woes of late by attempting to land former Florida State kicker Dustin Hopkins before he re-signed with the Redskins, according to ESPN’s Jenna Laine. The Bucs cut former second-round pick Roberto Aguayo prior to last season and Nick Folk was cut last month after missing a majority of last season on injured reserve with a minor-injury designation. Free-agent addition Patrick Murray hit 82.6% of his kicks with Tampa Bay last year in 23 attempts, with a long of 50 yards. The Giants and offensive lineman John Greco agreed to a one-year deal last month and Ralph Vacchiano of SNY (on Twitter) that his salary for 2018 will be $1.02MM. 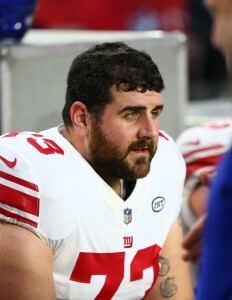 Greco appeared in six games for the Giants last season after spending the previous six seasons as a mainstay within the interior of the Browns’ offensive line. The Giants have re-signed guard John Greco, according to a team announcement. Terms of the deal were not disclosed. You can expect to see a fair amount of roster turnover under Dave Gettleman‘s watch, but Greco was apparently a player worth keeping for the new GM. Historically, Gettleman has placed importance on big linemen – he calls them “hog mollies” – and the 6’4″, 315-pound Greco fits the bill. Greco, 33 in March, joined the Giants midway through the season and appeared in six games. For his career, Greco has 85 appearances and 66 starts to his credit over ten years with the Browns, Rams, and Giants. Greco’s 105 snaps were not enough to qualify for Pro Football Focus’ rankings, but his 77.6 grade would have placed him in the top 20 at his position. The Saints have reached agreement with free agent offensive lineman John Greco, a source tells Joel Erickson of the Advocate (Twitter link). Greco, at first glance, appears to be a depth signing for New Orleans, who already boast Larry Warford and Andrus Peat as its starting guards. Veteran right tackle Zach Strief will be sidelined for at least eight weeks after being placed on injured reserve earlier today, but Greco doesn’t play tackle, and first-round pick Ryan Ramczyk is expected to take over on the right side when left tackle Terron Armstead presumably returns to the field following the Saints’ Week 5 bye. If Armstead doesn’t come back in the next few weeks (he’s recovering from a torn labrum), the Saints could hypothetically reshuffle their front five with Greco now in tow. Peat, the club’s left guard, also plays tackle, and could conceivably shift to right tackle to create space for Greco at guard. That’s entirely speculation, however, and all reports have indicated Armstead is progressing quickly. Greco, 32, was released by the Browns earlier this year after injuries forced him to miss six total games from 2015-16. When he’s been healthy, however, Greco has been a solid starter, and he graded as the league’s No. 18 guard among 75 qualifiers last season, per Pro Football Focus. All told, Greco offers 111 games — and 70 starts — worth of experience. Before signing with the Saints, Greco also auditioned for the Giants, Bills, and Lions. The Bills worked out a handful of notable names as they gear up for Week 2. Their audition included guards John Greco and Tim Lelito, cornerback B.W. Webb, and wide receivers James Wright and Stephen Hill, according to Adam Caplan of ESPN.com (Twitter links). Greco’s six-year tenure with the Browns came to an end prior to this year’s 53-man deadline. After entering the league as a third-round pick of the Rams in 2008, he became a regular for Cleveland in 2011. He started in 66 of 85 appearances with the Browns and finished out as Pro Football Focus’ No. 18 ranked guard last year. Unfortunately, he was not on the field for the Browns’ sole win of 2016 – he was shut down in November due to injury. Lelito graded out as the No. 49 guard in the league last season for his work with the Saints, according to Pro Football Focus. PFF gave him a solid mark for his pass blocking with a less impressive score on running plays. He hooked on with the Titans in March, but he was let go after a disappointing preseason. Hill, 26, was a bust for the Jets after being selected in the second round of the 2012 draft. He has not seen live action since the 2013 season. The Giants worked out defensive tackle Dan Williams, offensive lineman John Greco, and linebacker Akeem Ayers on Tuesday, a source tells Jordan Raanan of ESPN.com (Twitter link). New York also took a look at former Lions linebacker Antwione Williams, tweets Dan Duggan of NJ.com. New York already boasts perhaps the league’s best nose tackle in Damon Harrison, so Williams — if signed — would serve as a backup, as he isn’t a three-technique. 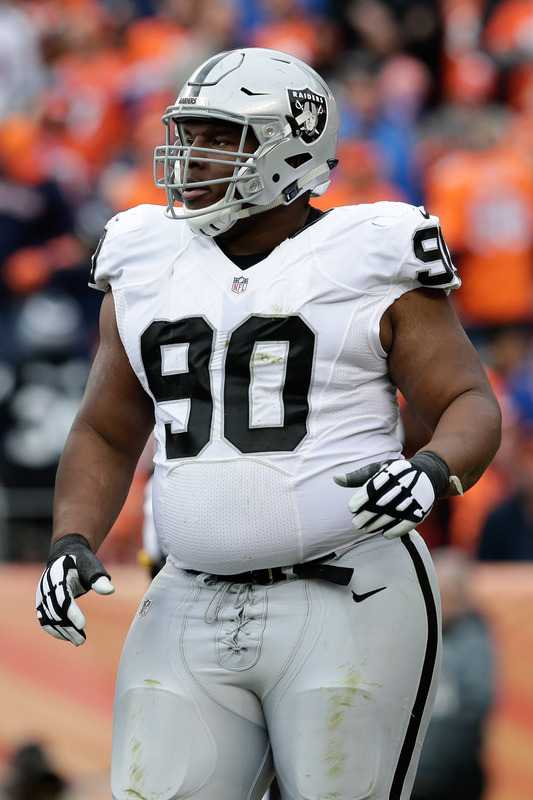 Williams hasn’t drawn a lick of interest since being released by the Raiders, and that’s probably a reflection of the declining need for 330-pound defensive tackles and Williams’ age (30). However, Pro Football Focus was a fan of Williams’ work in 2016, ranking him a solid 44th among 127 qualified interior defensive linemen. The Giants could use help along the offensive line, but that’s mostly at tackle, as the club is presumably set at guard/center with Justin Pugh, Weston Richburg, and John Jerry. Greco could perhaps unseat Jerry at right guard, but he doesn’t play offensive tackle, which is where New York is truly below-average. Released by the Browns last week, Greco has dealt with injuries in each of the past two seasons (six total missed games) but has performed well when on the field. Ayers, 28, signed with the Colts just before the 2016 season got underway, and ultimately spent the entire season with the club. He appeared in all 16 games and posted two sacks. Williams, a 2016 fifth-round pick, played 203 defensive snaps for Detroit a season ago, and also saw plenty of special teams action (196 snaps). 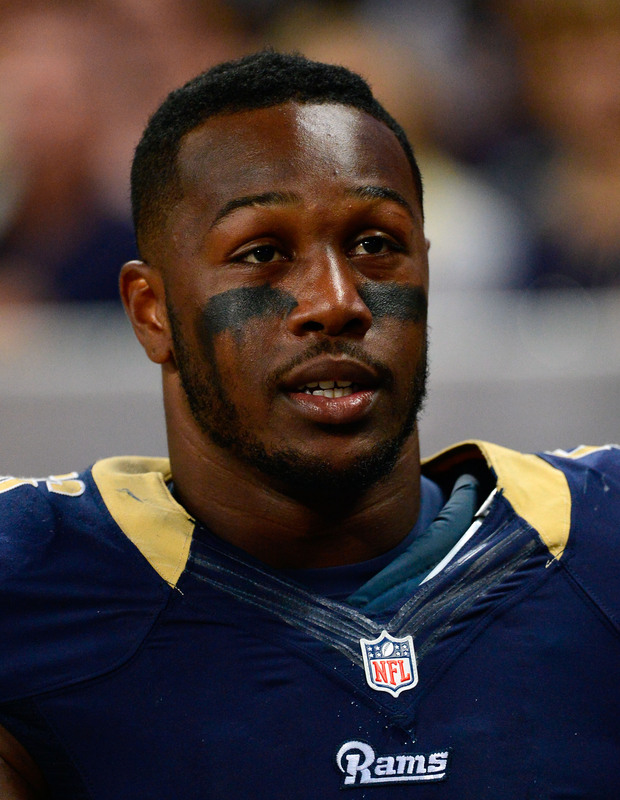 The 24-year-old wasn’t claimed on waivers over the weekend, and he’d be a youthful reserve option for New York. 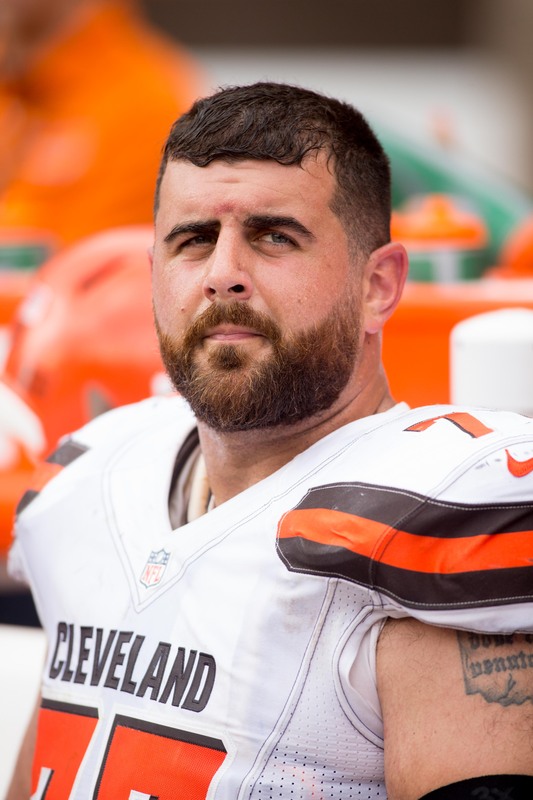 The Browns have released guard John Greco, according to Mary Kay Cabot of cleveland.com. The release of Greco concludes a long tenure in Cleveland for the 32-year-old, who was a starter for the team over the previous six seasons. Greco, who entered the NFL as a third-round pick of the Rams in 2008, joined the Browns prior to the 2011 campaign and ultimately started in 66 of 85 appearances with the club. He started in all 12 of his games during an injury-shortened 2016 and ranked an impressive 18th in performance among Pro Football Focus’ 75 qualified guards. Greco became expendable to the Browns thanks in part to the signings of guard Kevin Zeitler and center J.C. Tretter in free agency. In cutting Greco, the Browns saved his entire $3.075MM cap hit for 2017.